Explore the world of rocks and fossils with hands-on fossil activities. Eyewitness Explorer: Rock and Fossil Hunter includes more than 30 fun activities you can do to learn more about rocks and fossils! Learn how to study the rocks, minerals, and fossils around you — from geodes of all shapes, to minerals that glow in the dark — and unlock the secrets that rocks and fossils hold! 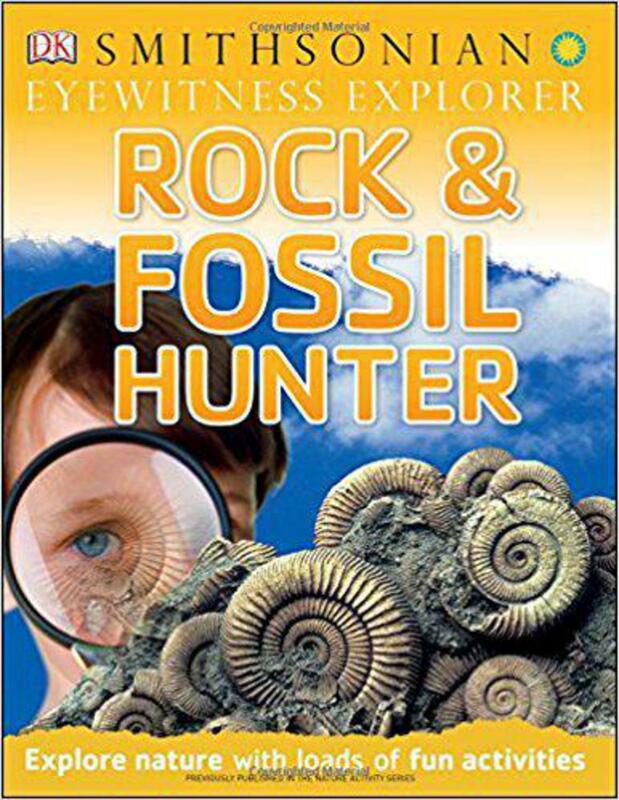 With Eyewitness Explorer: Rock and Fossil Hunter, you can start a rock collection, grow your own gems, and even create an erupting volcano! Eyewitness Explorers encourage hands-on learning with 30 easy activities that help children observe, explore, and learn about the natural world. Each book explains the science behind the activities, laying the essential groundwork for contextualizing the experience to come. But at the heart of the books are the activities themselves — a chance to learn by doing with experiments that can be carried out right at home. Simply choose one of the projects and follow the step-by-step, photographically illustrated instructions to build an erupting volcano, start a rock collection, or grow gems.